Blue Oak School offers a challenging and stimulating education to children of diverse backgrounds and interests. Balancing structure with choice and the requirements of the group with the gifts of the individual, the School holds itself to the highest standards of responsible educational innovation, so that students develop the skills and habits of learning that endure. Through the culture and community of the School, teachers nurture the development of character and foster confidence, creativity, flexibility and curiosity in each child. Students, in turn, encourage each other to learn. Relationships among freedom, responsibility, community and environment are explored through studies that engage students as stewards in service to the School, the region, and the world. Our Mission Statement and our Seven Core Principles of Teaching and Learning guide our daily work at Blue Oak, and they make our school a distinctive learning environment. Put simply, as a progressive school, we challenge children with meaningful work and we adhere to a “learning by doing” approach. Rather than asking children to memorize and “bank information” we create experiences for our students that promote their understanding of a new concept. This approach frequently propels us out of the classroom and into the world as our students, for example, investigate government in downtown Napa, explore natural science in the fields of our partner farm, or spend the night at a nearby observatory to really see our solar system. To set up a tour or register for an open house, please contact our Director of Admissions and Communications Meredith Wilson. 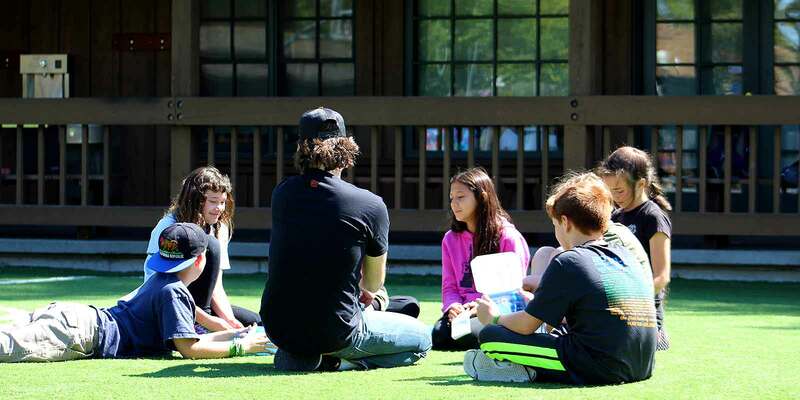 Blue Oak School is an active member of the national Progressive Education Network, and our work with children draws on a rich historical and intellectual heritage. Blue Oak School’s approach to education is predicated on the pioneering work of school founders, including Lucy Sprague Mitchell, Caroline Pratt, and Helen Parkhurst, and the work of educational theorists including John Dewey, Lev Vygotsky, and Jean Piaget. More contemporary scholars who influence our practice include Eleanor Duckworth, Ted Sizer, Deborah Meier, Maxine Greene, Lucy Calkins, Richard Louv, Stuart Brown, and Madeline Levine.